The 7140-60 High Definition Action Wifi Camera is an excellent little camera, perfect for high adventure, travel, tourism, and sports related marketing events. The 7140-60 High Definition Action Wifi Camera comes equipped with a 1080p HD lense and a 2″ LCD screen to capture the special moment. The action camera is capable of taking both pictures & video with crystal clear resolution. The wifi capabilities allow you to take your photography to a new level. Simply download the suggested App to control the camera from your mobile device. Along with the HD camera you will receive 13 additional accessories, which include a waterproof case, helmet mount, and a handlebar mount. Micro USB charging cable included. 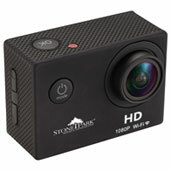 Plus the 7140-60 High Definition Action Wifi Camera is compatible with most GoPro accessories as well. 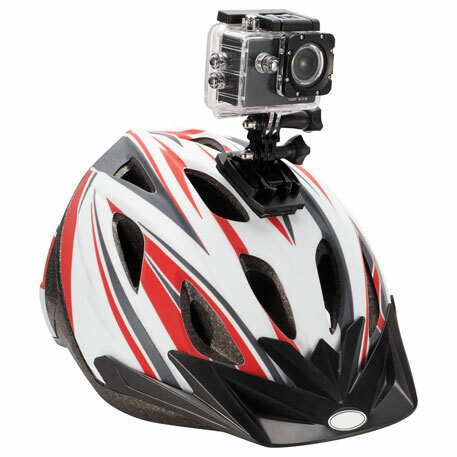 Works will most all GoPro accessories. The imprint are on the 7140-60 High Definition Action Wifi Camera is a front placement centered to left of lense and 0.63″ H x 0.88″ W. This imprint area can take a maxim of 3 spot colors. The 7140-60 High Definition Action Wifi Camera is made from durable ABS Plastic, and each unit ships in 1-piece black gift box. We suggest spreading these item over many users, and then setting up a space online where all the videos can be shared, thus gathering organic marketing exposure for your event. They really create a fun experience for all attendees. Please contact us at info@proformagreen.com if you would like more information on – or samples of – the Kiwi Box 4 Charging Station. This entry was posted in bluetooth, Technology. Bookmark the permalink.